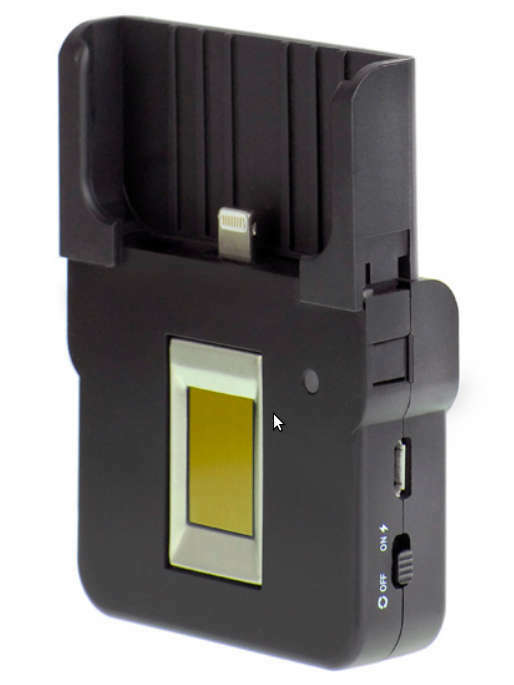 mobileOne QuickDock from Fulcrum Biometrics is a fingerprint reader designed for using with iOS devices. The mobileOne QuickDock is certified by the FBI as FIPS201 / PIV compliant. The device is designed for using with the latest iOS devices, starting from iPhone 5, iPad 4 and iPod Touch 5th generation. Optional adapters available for more convenient fixation and usage with a specific device. 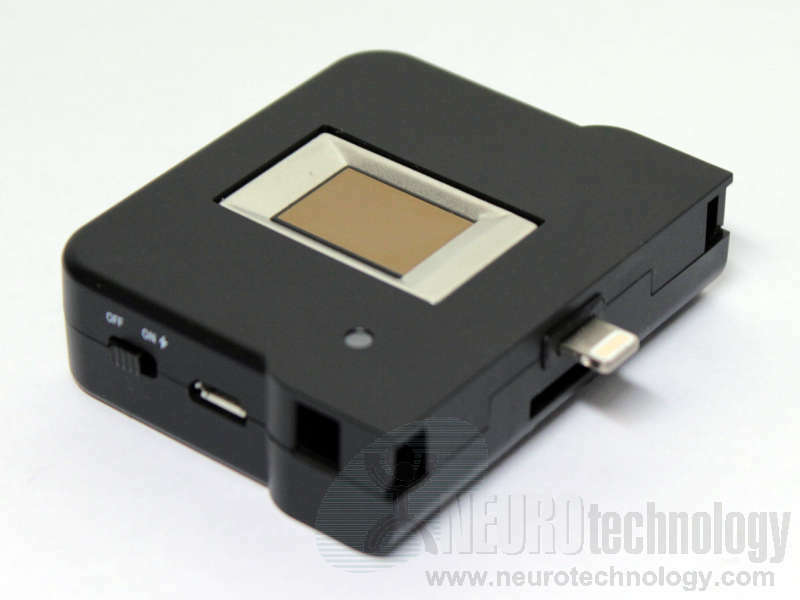 The manufacturer specifies that the fingerprint reader is based on the TCS1 capacitive flat fingerprint sensor. The device includes a built-in Li-ion battery which does not drain the host device battery and provides more than 8 hours of operation. Support modules for this scanner are included in MegaMatcher 11.1 SDK and VeriFinger 11.1 SDK.